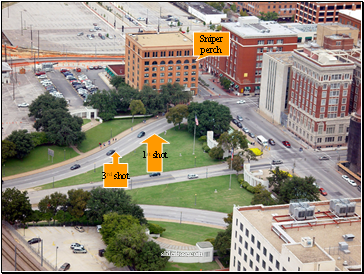 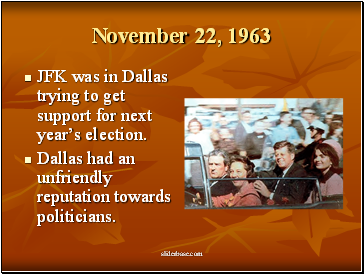 JFK was in Dallas trying to get support for next year’s election. 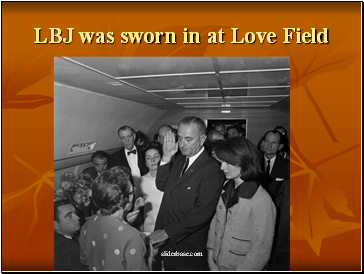 Dallas had an unfriendly reputation towards politicians. Shown here in Oak Cliff, Texas. 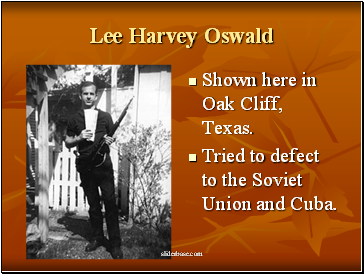 Tried to defect to the Soviet Union and Cuba. 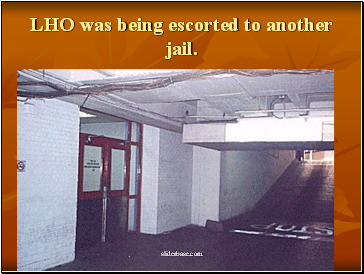 LHO got a job in this building. 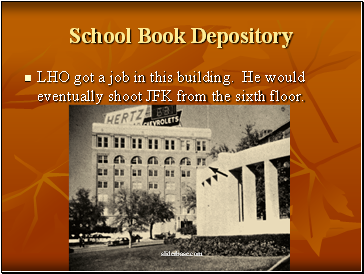 He would eventually shoot JFK from the sixth floor. 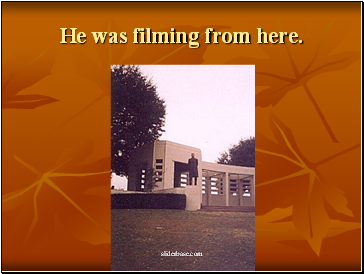 He was filming from here. 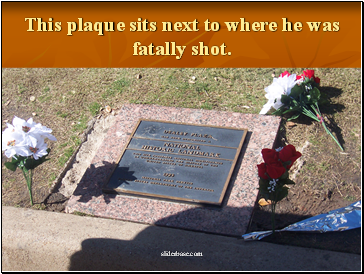 This plaque sits next to where he was fatally shot. 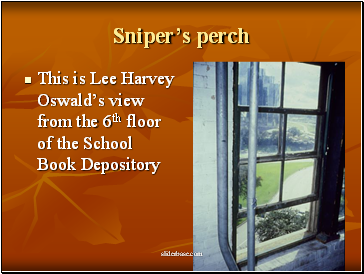 He checked into his boarding house on 1026 Beckley. 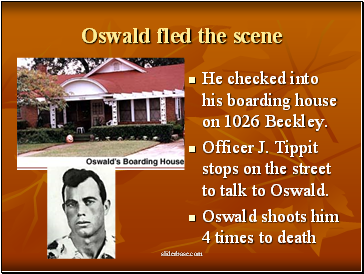 Officer J. Tippit stops on the street to talk to Oswald. 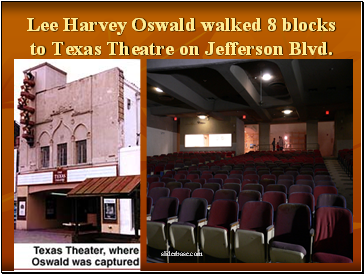 Lee Harvey Oswald walked 8 blocks to Texas Theatre on Jefferson Blvd. 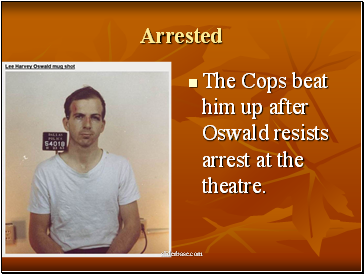 The Cops beat him up after Oswald resists arrest at the theatre. 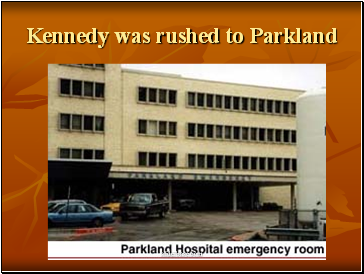 To make matters worse. 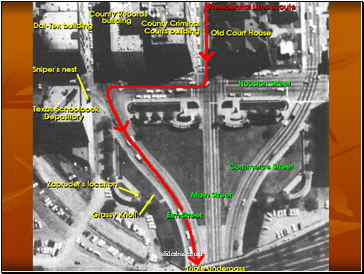 . .
Back and to the left? 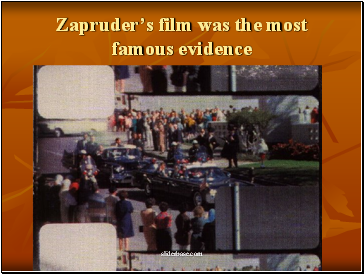 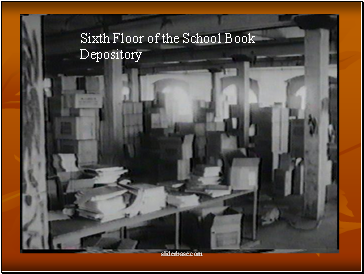 Did Mob control Oswald and Ruby? 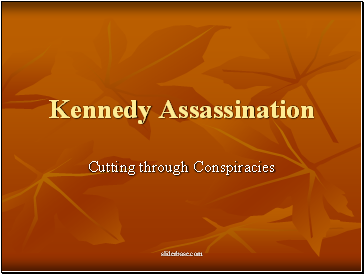 Did the Russians kill JFK?